The group practices their shooting skills and Andrea performs well. Glenn tells Dale about the walkers being kept in the barn. Dale confronts Hershel about the barn and Herschel explains that the walkers in the barn are family members and are "still people"; that they are merely sick and are being contained so that they can be cured in the future. Lori sends Glenn and Maggie to the pharmacy to get morning-after pills. Maggie gets attacked by a walker and Glenn kills it. In a fury, Maggie gives Lori the pills and yells at her for almost getting them killed. Glenn tells Lori that Rick should be involved in the decision and also gives Lori prenatal vitamins. Lori takes the pills, but forces herself to vomit them up. 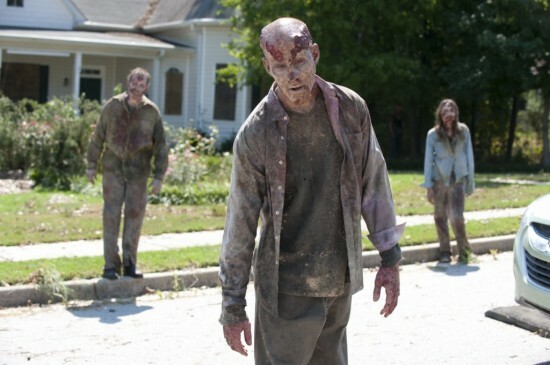 Shane and Andrea go to look for Sophia in a nearby town and are surrounded by walkers. Andrea and Shane kill them and flee. Andrea, feeling empowered, comes on to Shane on the way back and they engage in a physical relationship. When they arrive at camp, Dale recognizes something is going on between them. Out of concern for Andrea, he confronts Shane about what really happened the night Otis died as Dale seems to have figured out that Shane killed him in order to save himself. Shane threatens Dale. Rick finds the empty morning-after pill package and confronts Lori. They debate the ethical decision of bringing the unborn child into a world infested with walkers. Lori confesses to being in a sexual relationship with Shane when she thought Rick was dead.